Need to translate your Squarespace site? You’re in the right place! Please note, the guide below uses an image from Squarespace 7’s tutorial section but Bablic can translate even older versions of Squarespace websites. 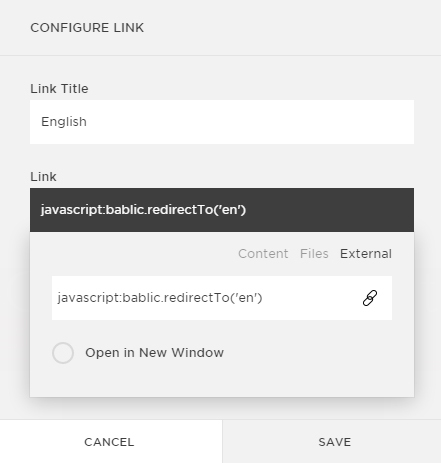 Bablic is simply the easiest way to translate websites. All it takes is adding a simple line of code on your website in order to feature more languages. Right from Bablic’s editor you can choose machine translation or professional human translation. You can also manually edit text, replace images and even edit CSS/style in order to make sure your website’s look and feel is consistent throughout all of the languages you choose to offer. Bablic currently offers a completely free plan (limited features), no credit card required. Try it out right on our homepage. The above features which result in extremely easy and effective website localization all apply to Squarespace websites as well, keep reading to localize your Squarespace website today. Follow the step-by-step guide below in order to have a multilingual Squarespace website within minutes using Bablic localization. 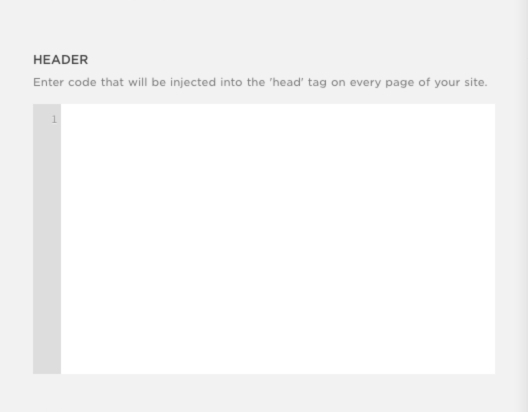 In order to reach the Squarespace “Code Injection” section simply click Settings, click Advanced, and then click Code Injection. Take a look at the image below for a visual guide. Copy/paste your Bablic code snippet right into the Header box, as seen below. Make sure to click Save after pasting Bablic’s code into the Header box. 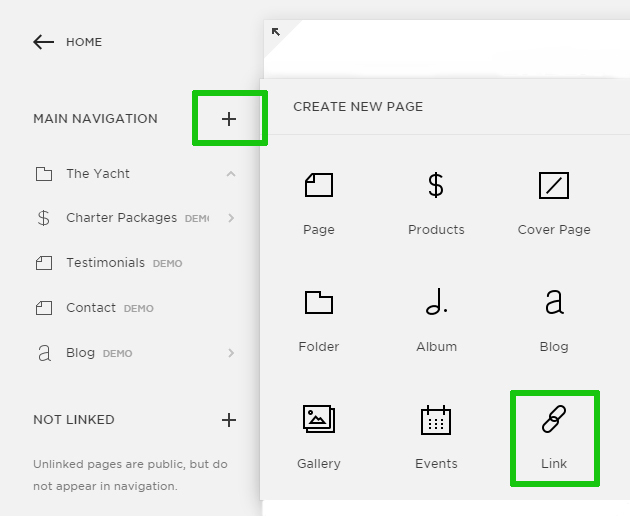 If you’d like, you can also add links to your navigation (menu) in order to switch languages like in the example below, here’s how. In the Home menu click Pages, Click the + icon to add a new page and select the Link option as shown in the screenshot below. ***Remember to edit the “en” to the 2-letter language code for the language you are adding. For example if you’re adding French, change “en” to “fr”. Keep in mind, if you choose this option, you can also remove the Bablic widget by upgrading to one of our paid plans starting at only $15/month. Make sure to reload your Squarespace website for all of the changes to take effect properly. You’re all done! It’s that simple! Your Squarespace website is now localized! Keep in mind, you still need to signup for a Bablic account on Bablic.com in order to localize your Squarespace website. This guide is a simple walk-through for how to integrate Bablic with Squarespace. Translating your Squarespace site still requires you to use our editor (available on Bablic.com) in order to add languages, choose from machine or professional human translation, edit text/images and so on. Bablic’s editor is extremely user-friendly, if you’re familiar with Squarespace then you won’t have any issues using Bablic’s editor. If you have any questions or concerns we’re here to help. For a limited time we’re offering full support for Squarespace users and are glad to help you translate your Squarespace website, simply reach out to [email protected]! thank you for the tutorial. Do you have any links to any squarespace websites that are currently using Bablic? I’d like to see it in action before recommending it to my clients. Thanks!